Many European construction markets are showing positive signs of recovery after many years of decline. This makes the timing of this year’s Intermat ideal. The largest European construction show this year is undoubtedly Intermat in Paris. The show will be located at the Paris-Nord exhibition centre north of Paris from 23 to 28 April, with 1,500 companies exhibiting across the 385,000m2 of show space. Exhibitors from about 40 different countries are set to show their latest developments at the show. It is estimated that about 183,000 visitors from 167 countries will attend during the six show days, with 35% of visitors being from France. The exhibition comprises of four different product and service segments. These consist of: construction, construction and demolition; roads, crushing and ground reinforcement; concrete and construction; lifting, handling and transportation. In total, the exhibitions covers four halls, three outdoor areas and a demonstration area, with one of the outdoor areas being dedicated to demolition and recycling. Parallel with the Intermat exhibition, World of Concrete Europe is also being held in Hall 6 and on the adjacent outdoor area. Many manufacturers are set to introduce their latest developments at the show, with more new products than ever before being expected. For example, the majority of engine manufacturers have indicated they will be using the show to introduce new Stage V engines. Although Intermat is rightly seen as an international fair, domestic visitors will be out in force. About 35% of the visitors will come from France, with approximately 1,100 demolition contractors amongst their number. 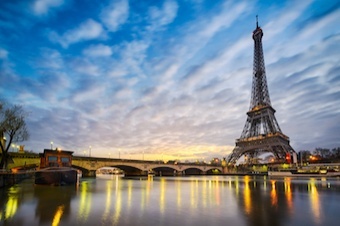 The French construction market is now estimated to be worth in the region of €10billion, with the market growing again after many years of decline. The American trade show, World of Concrete, has been part of Intermat since 2015, attracting lightweight equipment and concrete machinery companies. These include manufacturers and suppliers of concrete cutting machines, diamond tools, light handheld machines as well as equipment for grinding and polishing concrete and stone surfaces. 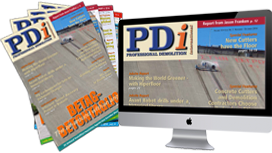 In this issue of the magazine you will find a lot information and articles concerning exhibitor news and, specifically, products that will be launched at Intermat. Next to this page there is also a selection of exhibitors at Intermat focusing on companies involved in demolition, recycling, concrete cutting and concrete floor grinding and polishing.